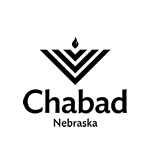 Every week, Chabad hosts weekly Shabbat services, dinners, and minyanim. During the Berskshire investors conference, Chabad adds a downtown option with Shabbat meals and davening. It will be an inspiring Shabbat experience.